The IceDogs travelled north for Game 3 Tuesday evening to face the Battalion. The series was tied 1-1 heading into a pivotal game. The IceDogs got off to a fast start, using their speed to generate 22 shots on net, compared to North Bay’s 9. Andrew Bruder was sprung flying into the offensive zone four minutes into the period and scored blocker side to give Niagara the 1-0 lead! Mason Howard and Daniel Bukac picked up the assists on Bruder’s first of the post-season. Then, 12 minutes into the opening frame, Philip Tomasino banked the puck in off a Battalion defender’s skate from a pass by Ivan Lodnia. Oliver Castleman picked up the secondary assist on the 2-0 goal. Heading into the second period, the IceDogs’ 2-0 lead held. Despite killing off 9 minutes of penalty kill time in the middle frame, it was the IceDogs who won it! On the longest penalty of the period, Jack Studnicka raced into the offensive zone on a partial breakaway, and drew a penalty. 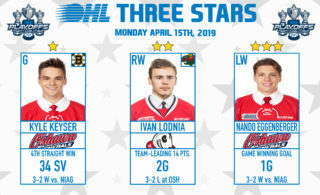 As the puck slid away from Studnicka on the delayed man advantage, Ivan Lodnia picked it up and scored five-hole on the North Bay goaltender to extend the IceDogs’ lead to 3 heading into the last 20 of regulation. 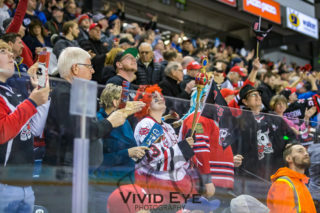 Midway through the third period, after weathering a Battalion storm, the IceDogs started working their cycle deep in the North Bay end. When the Troops thought they had a way out, one of the North By defenders gave the puck away to Jack Studnicka who scored high blocker side to give the IceDogs a 4-0 lead! Then, Oliver Castleman went streaking into the offensive zone, and took multiple high sticks heading towards the net. The high sticks didn’t stop Castleman as he scored his first of the post-season! The 5-0 tally was assisted by Philip Tomasino, with both players picking up their second points of the game! Then, in the final minutes of the game, Elijah Roberts found Philip Tomasino who wristed the puck into the net short side to score his second of the game, and the IceDogs’ 6th! 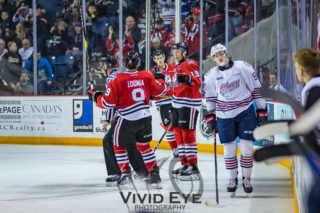 By the end of the game, the IceDogs more than doubled the Battalion’s shot total, which was exemplary of the control they held throughout the game. The Battalion netminder, although allowing 6 goals, made 45 saves in an attempt to keep his team in the game. Stephen Dhillon picked up his 2nd shut out of the playoffs! 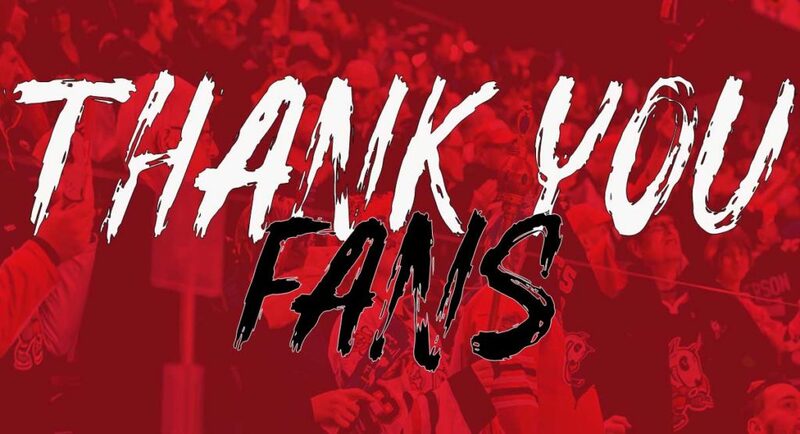 The ‘Dogs remain in North Bay for Game 4 on Thursday, with the 6-0 win. Tonight’s win gave them a 2-1 series lead.